Tyndell Crystal Flash Drives are an elegant high-end way to deliver your digital photography files. They are perfect for wedding photographers and brides are sure to love them. Pricing includes free engraving on one side only of the Crystal Flash Drive. Don't forget to add a Wood USB Box to complete your packaging delivery. Wood USB Box not included in pricing. We are now offering select Crystal Flash Drives with new 3.0 USB fast transfer technology. Capped crystal drives are an elegant way to deliver your digital files. 3.0 Technology: The new 3.0 technology is a faster more reliable technology with a faster transfer speed and allows you to upload and download at the same time. Flash Drive can be laser engraved on one side of the body. Engraving will appear as an etched white finish. Customers who purchased a Tyndell Crystal Flash Drive 3.0 - Wood Cap also purchased these items. 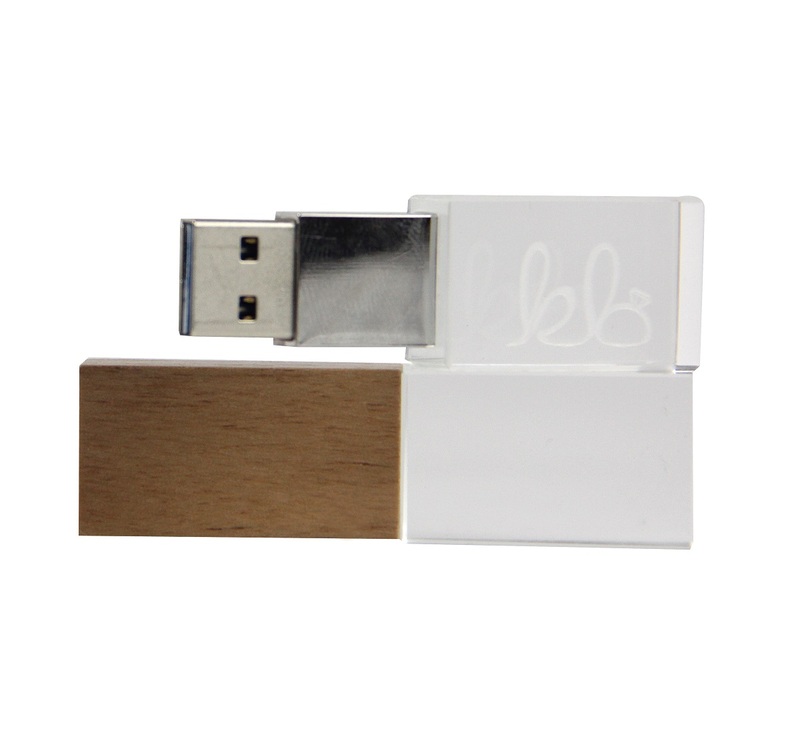 Rate our Crystal Flash Drive 3.0 - Wood Cap.